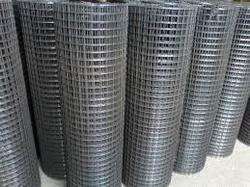 Being one of the leading organizations of the market, we are instrumental in trading and supplying Weld Mesh. Incepted in the year 2005, we S. K. Hardware Store are Sole Proprietorship company involved in Trading and Supplying an excellent quality range of Fiber Sheets, Welded Mesh, SS And Iron Mosquito Net, Door Fitting Accessories, etc. Our enterprise is located at Ghaziabad (UP, India) and it is highly devoted towards providing premium quality products to the customers. Under the headship of our mentor Mr. Jatin Gautam, we are constantly moving ahead in tandem with the success and have garnered utmost client satisfaction. We trade our products under the brand name Harisson. Apart from this we also provide SS Fabrication Work.